A specialist team from General Dynamics Mission Systems recently demonstrated the unique capabilities of the Knifefish, a medium-class mine countermeasure (MCM) unmanned undersea vehicle (UUV), during contractor trials for the U.S. Navy. 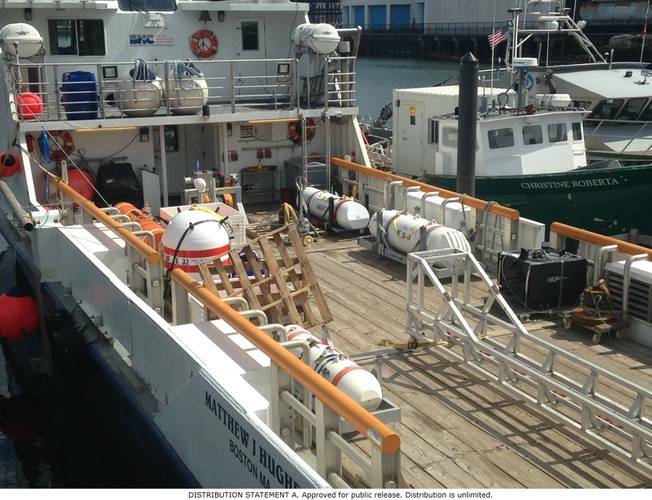 The trials were conducted off the coast of Boston and were managed by General Dynamics Mission Systems, the prime contractor for the Knifefish program. 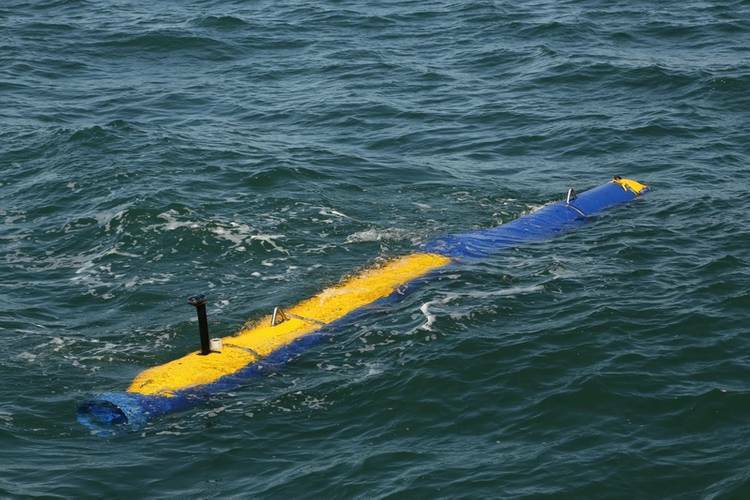 The Knifefish UUV operated in multiple mine test target fields at-sea using buried, bottom and volume type mine-test targets, and demonstrated its ability to detect, classify and identify potential mines at a variety of depths, each of which would pose a unique threat to naval vessels operating in a mission area. These trials differed from previous evaluations of the Knifefish UUV by demonstrating end-to-end performance of the system in realistic at-sea mission scenarios over the course of hundreds of hours of at-sea operation and more than a hundred simulated missions. "The Navy is pleased with the Knifefish performance during the recent contractor trials, as the system demonstrated its ability to reliably find mines in different environments," said Capt. Jonathan Rucker, PMS 406 Program Manager. "Knifefish provides the Navy a critical means to find and identify bottom, buried, and volume mines, providing a much-needed capability for the warfighter." General Dynamics Mission Systems said it designed the tactical UUV using an open architecture concept that can be quickly and efficiently modified to accommodate a wide range of missions that may face future naval operations. The Knifefish UUV, which is intended for deployment from Navy vessels such as the Littoral Combat Ship, is based on the General Dynamics Bluefin Robotics Bluefin-21 deep-water autonomous undersea vehicle (AUV). It is designed to reduce risk to personnel by operating in the minefield as an off-board sensor while the host ship stays outside the minefield boundaries. "This round of contractor testing demonstrated the continued improvement in the performance of the Knifefish UUV," said Carlo Zaffanella, vice president and general manager of Maritime and Strategic Systems for General Dynamics Mission Systems. "Working closely with the Navy, we look forward to Sea Acceptance Trials in 2018 and continued refinement of the Knifefish system."